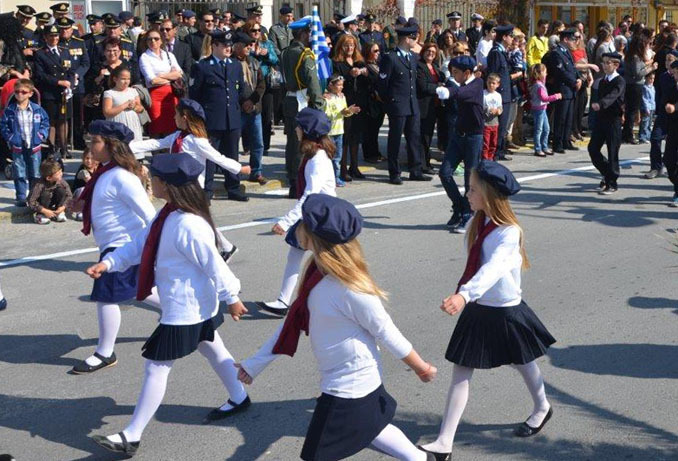 Oxi Day, Okhi Day, Ohi Day, or Ochi Day In Greek: Επέτειος του «'Οχι », Anniversary of the "No"
October 28 is a very big holiday in Greece and is celebrated by the Greek people all over the world. 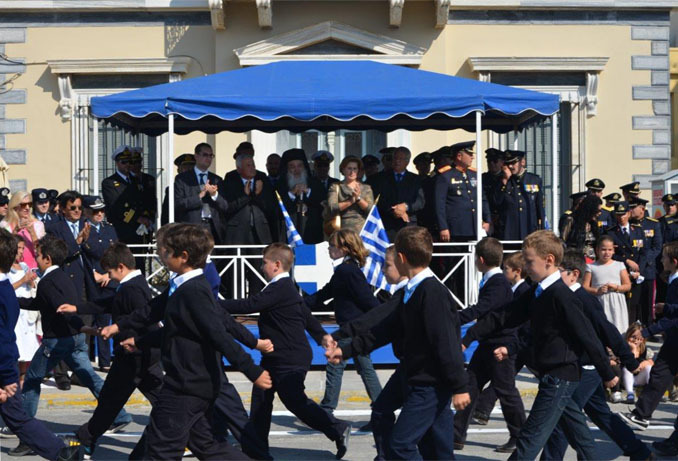 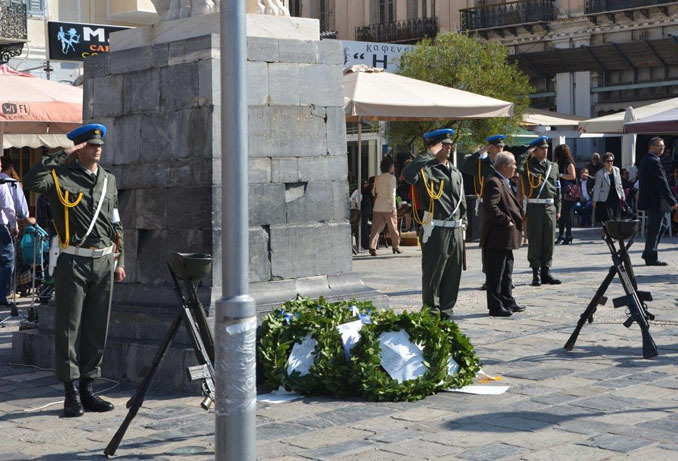 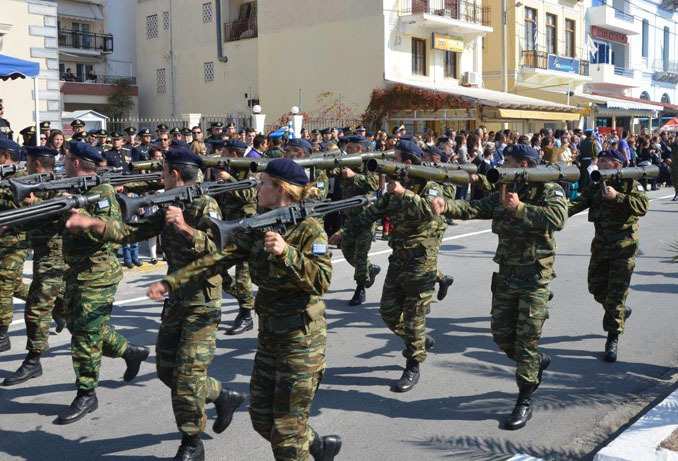 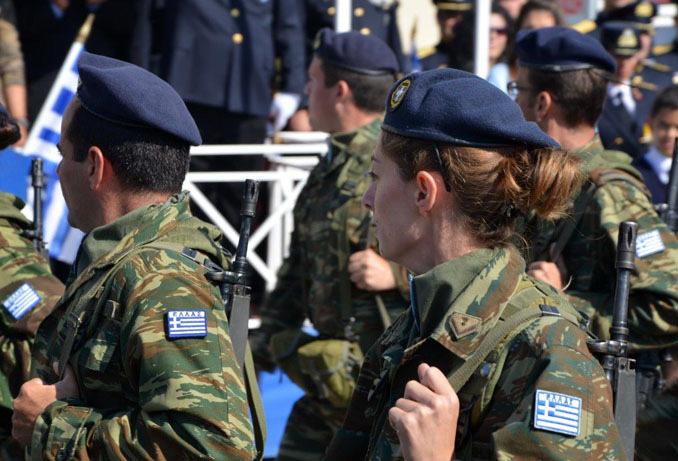 The events in 1940, where Greece said NO to Mussolini, are commemorated every year with military and student parades. 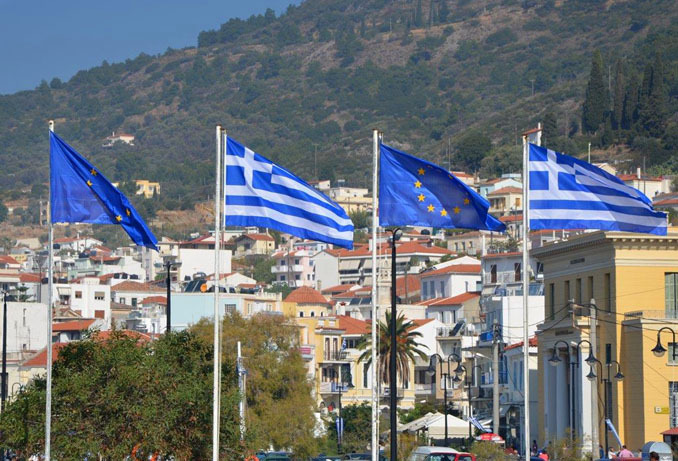 On every anniversary, most public buildings and residences are decorated with Greek flags. 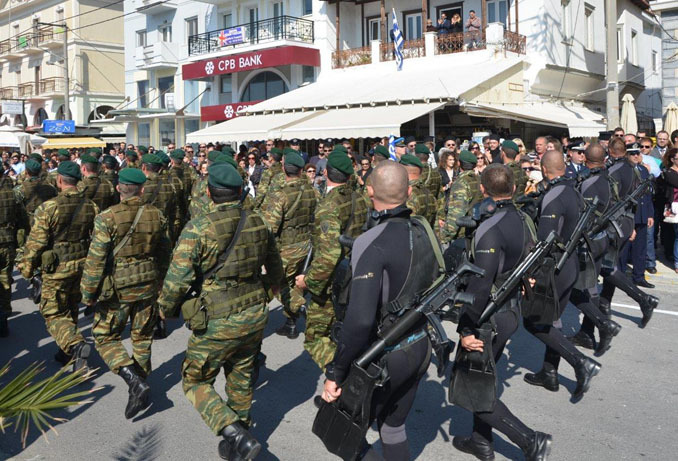 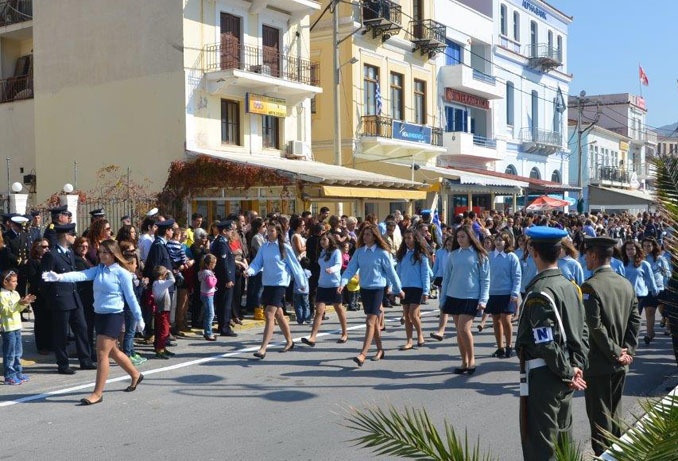 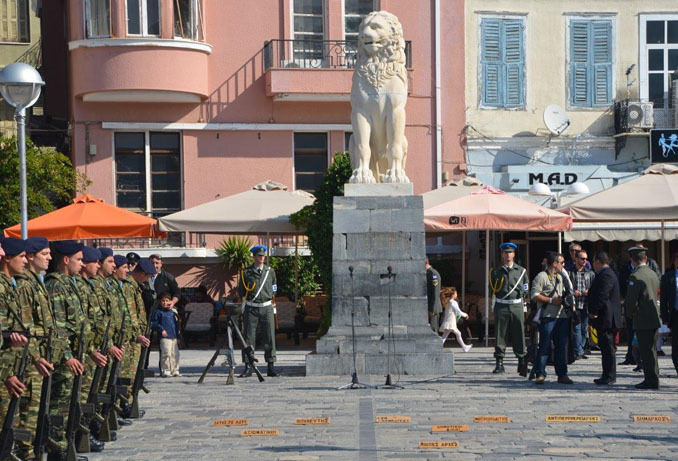 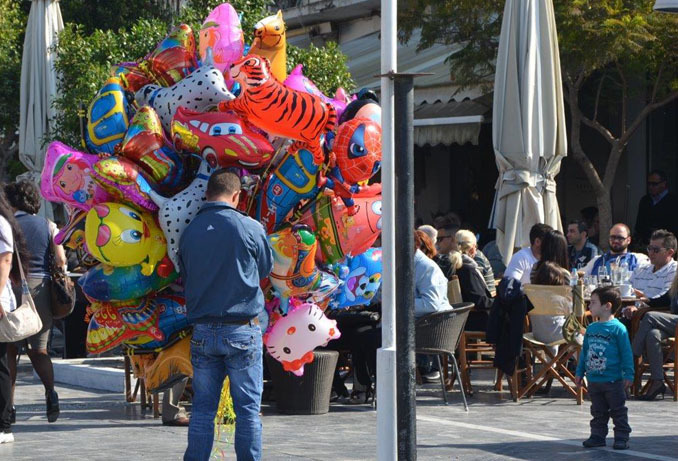 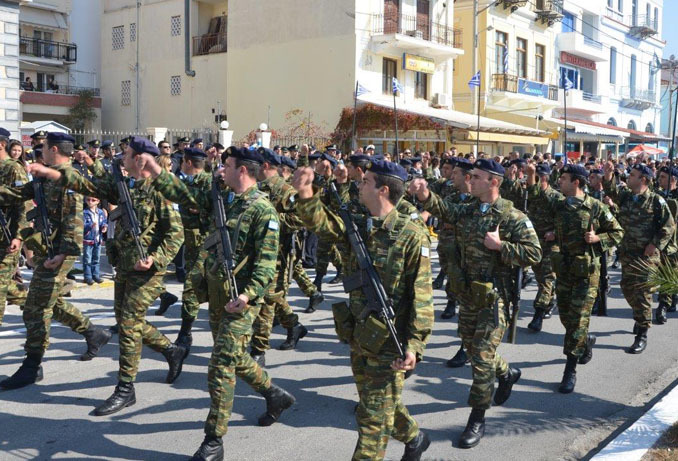 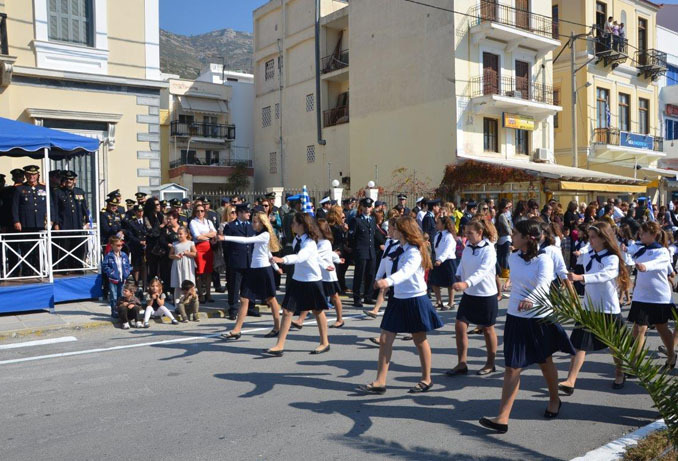 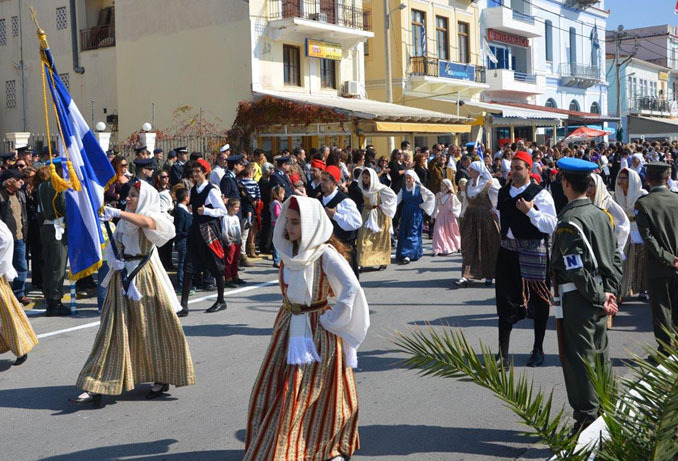 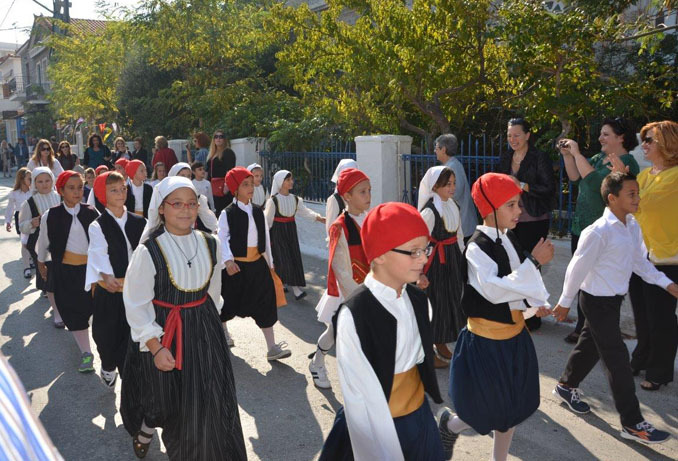 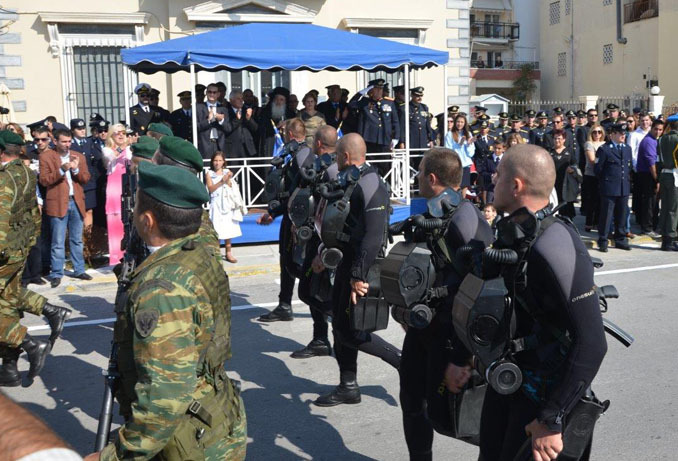 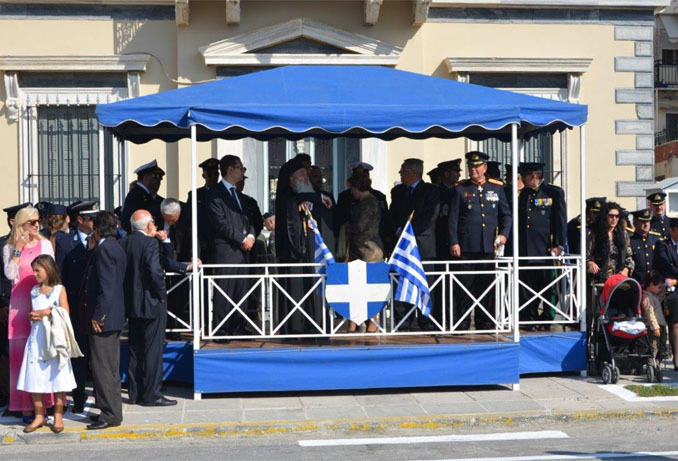 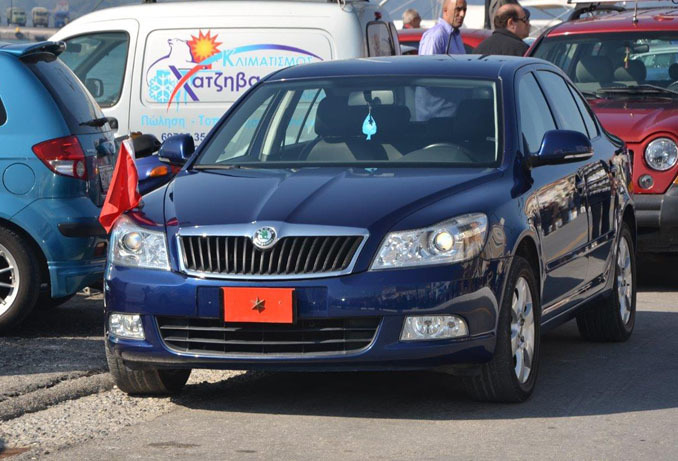 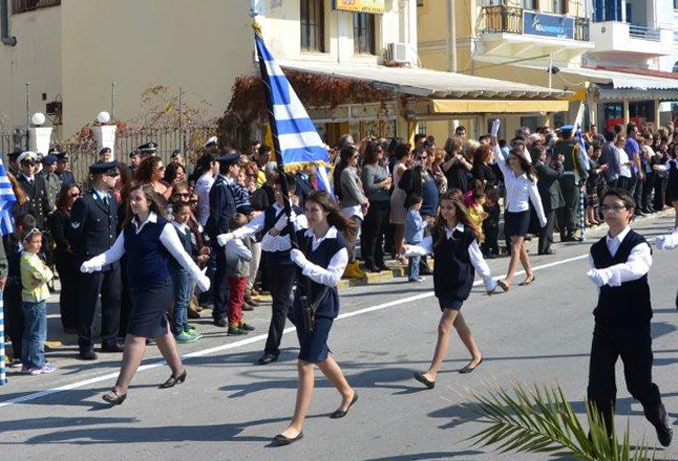 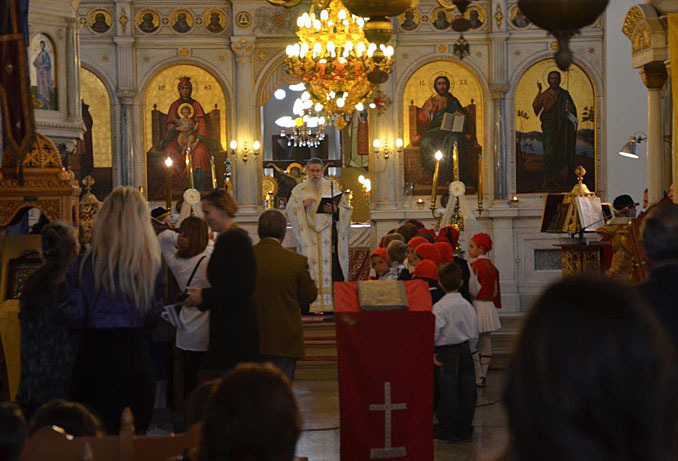 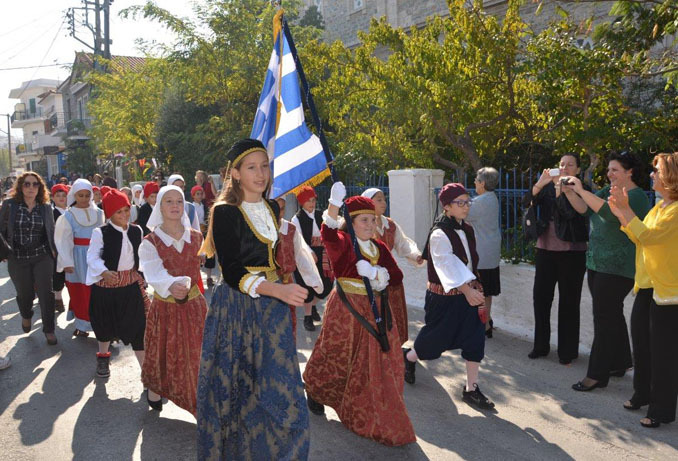 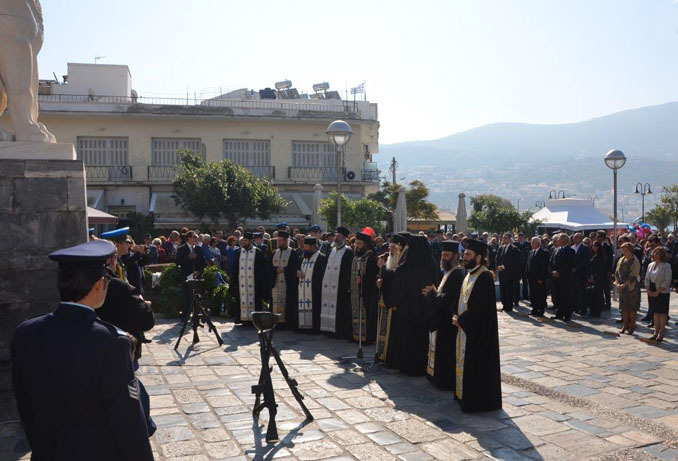 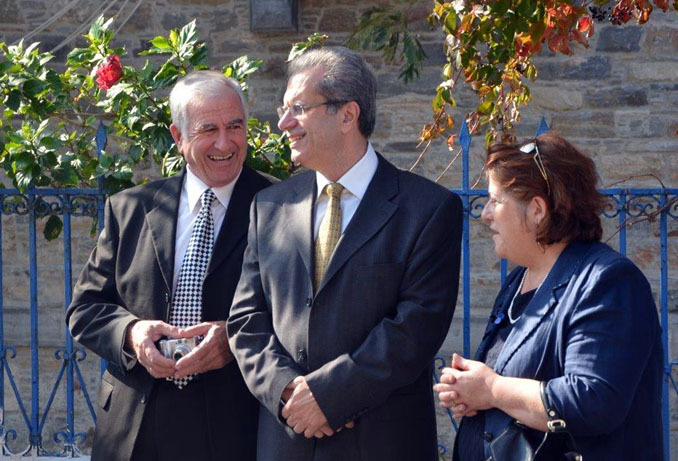 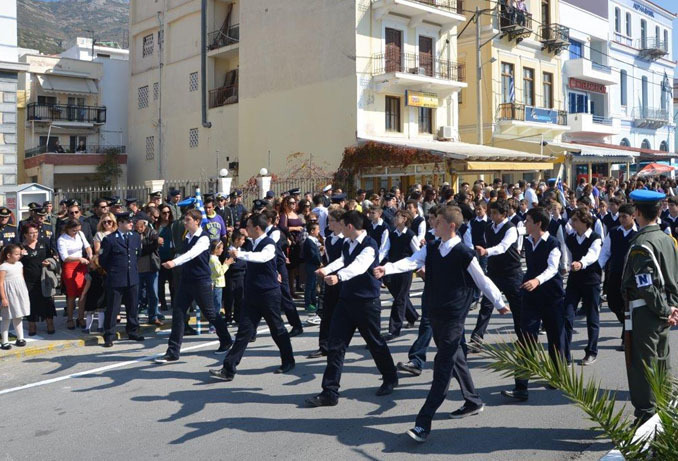 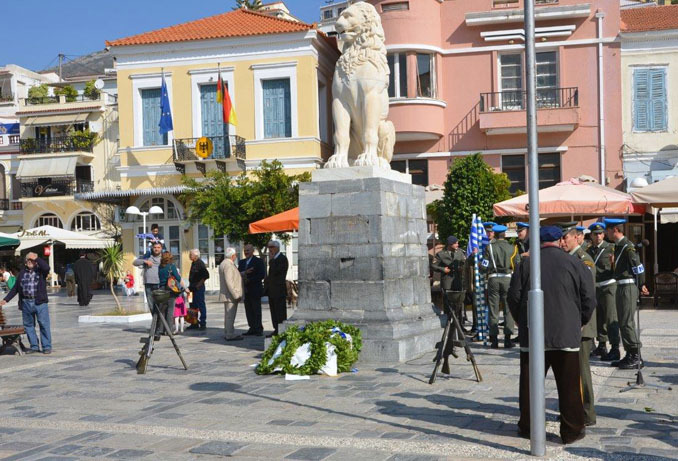 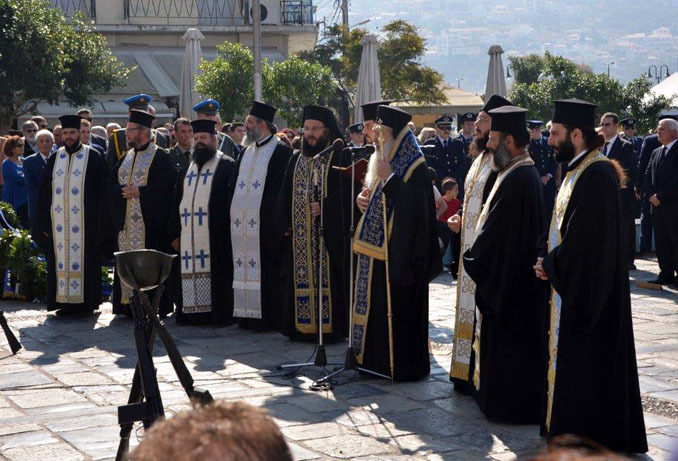 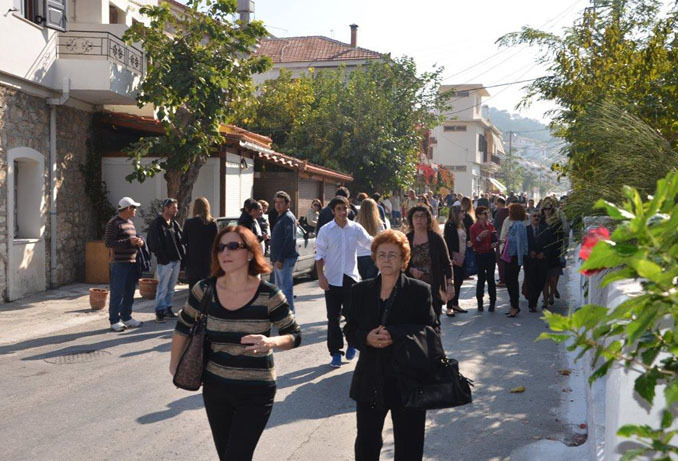 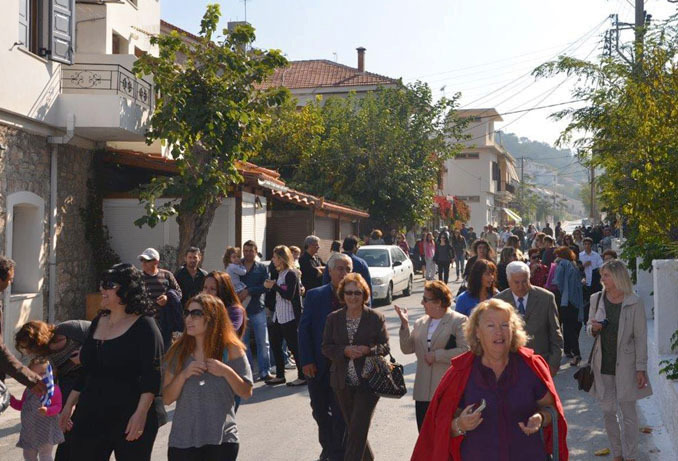 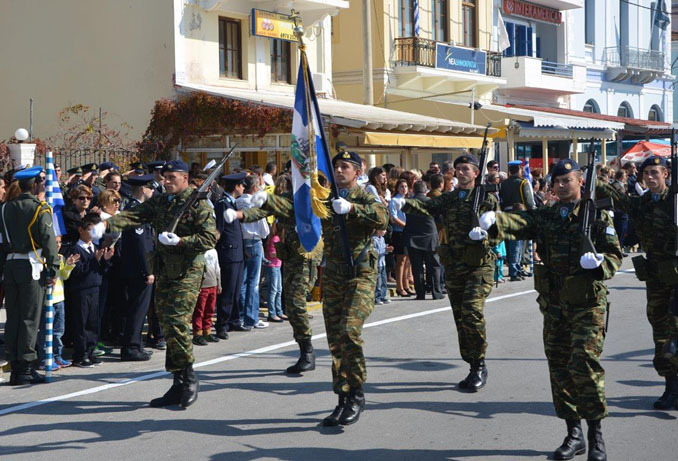 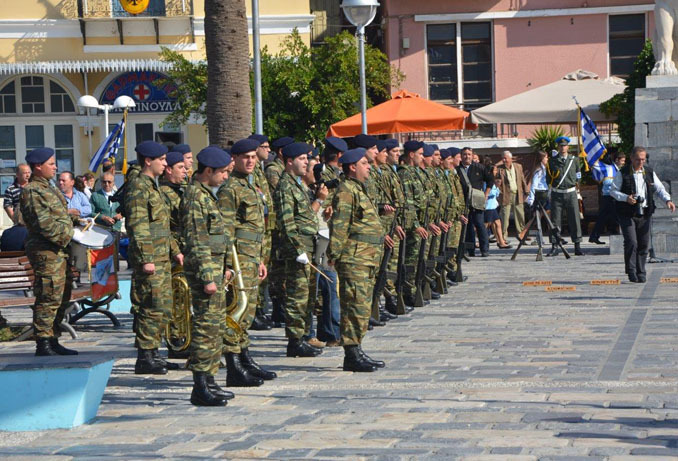 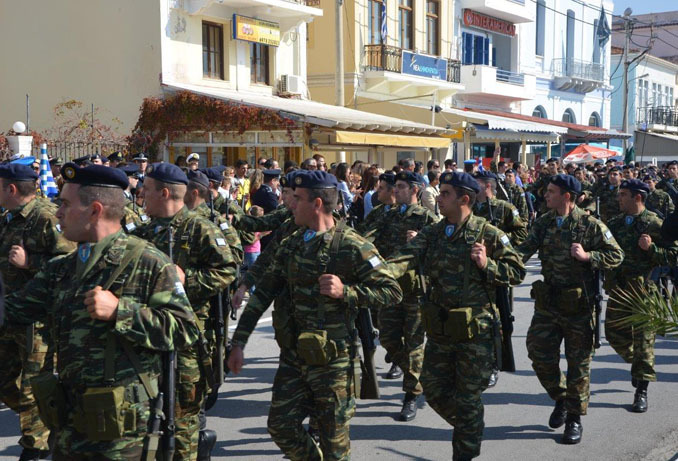 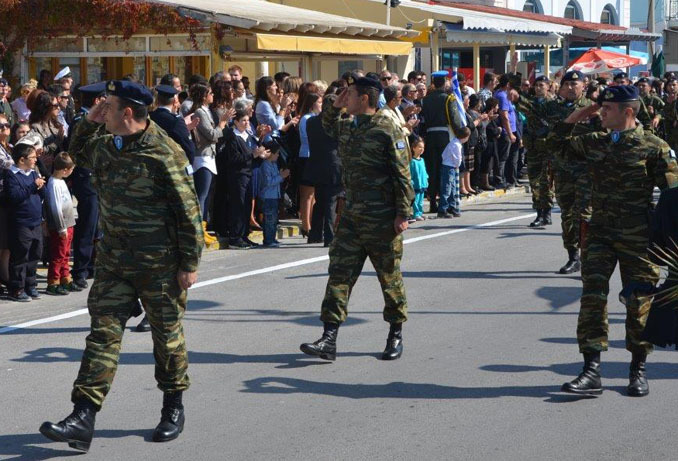 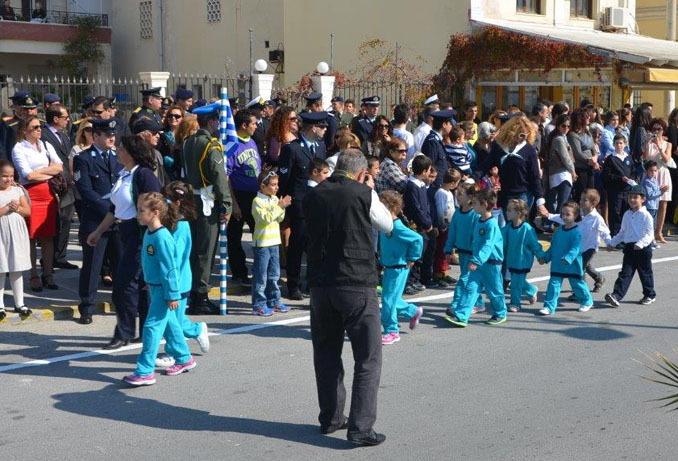 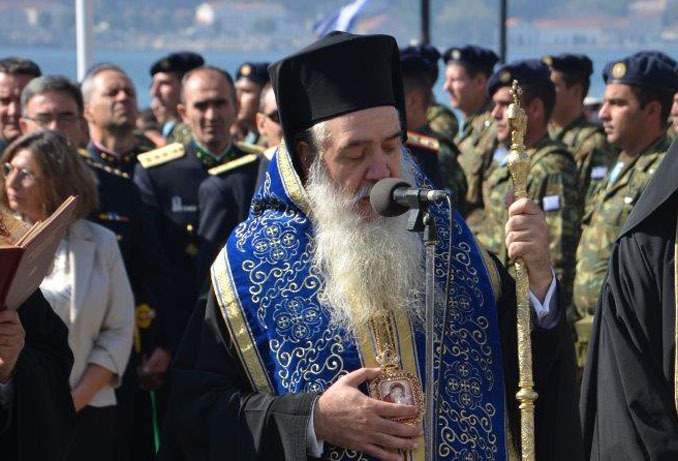 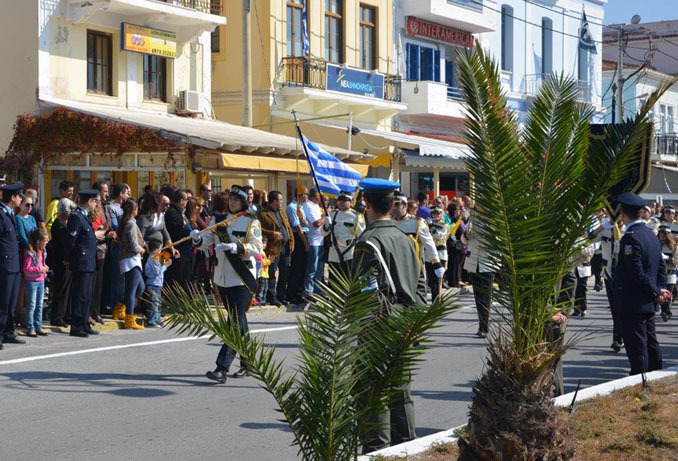 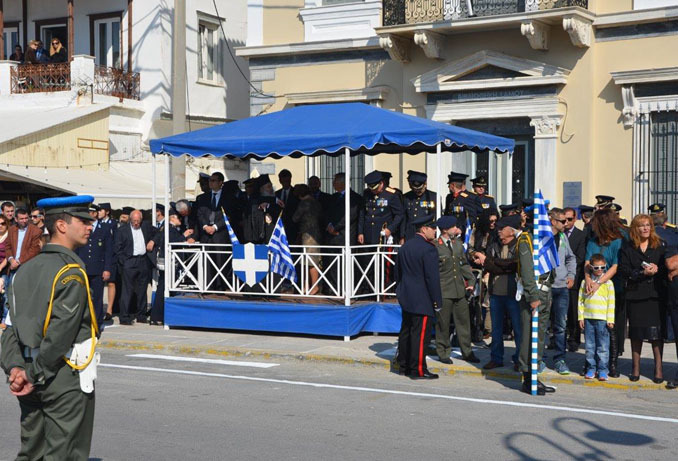 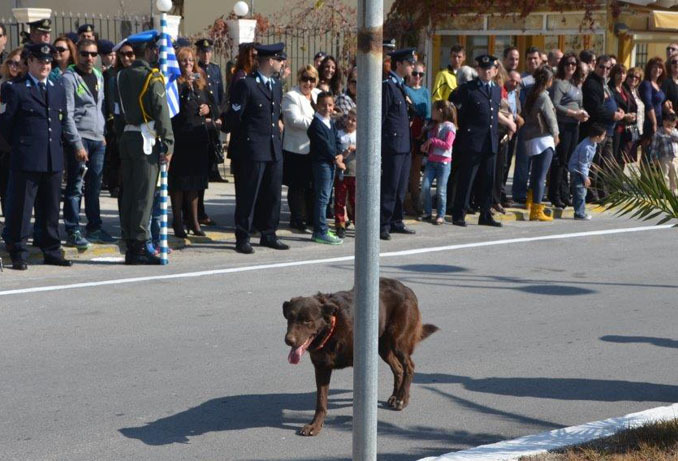 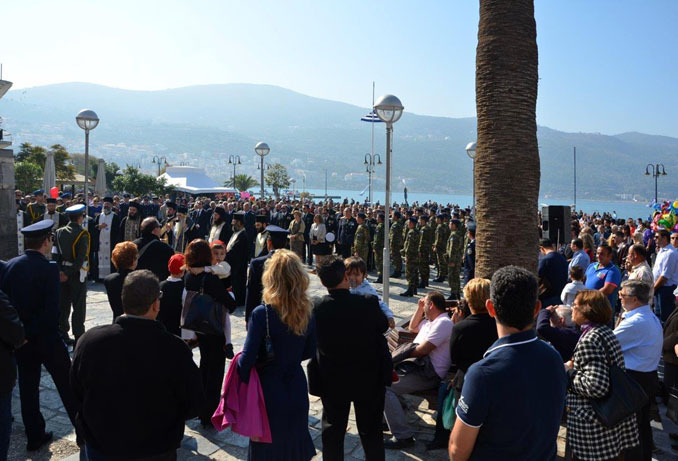 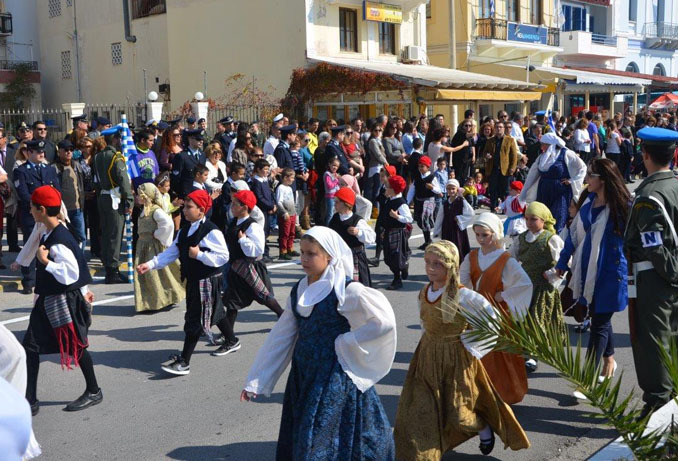 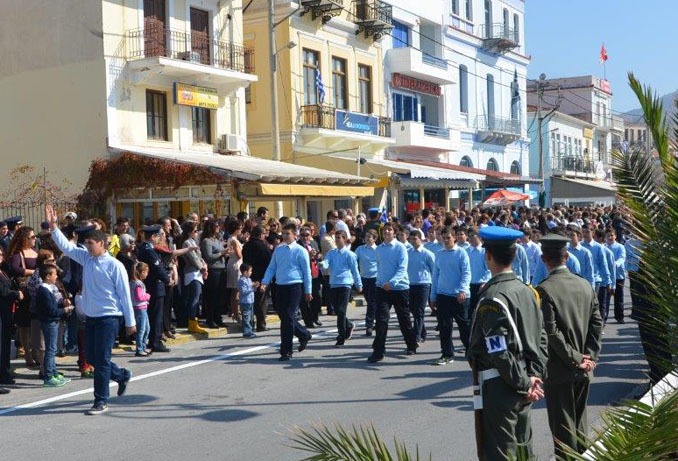 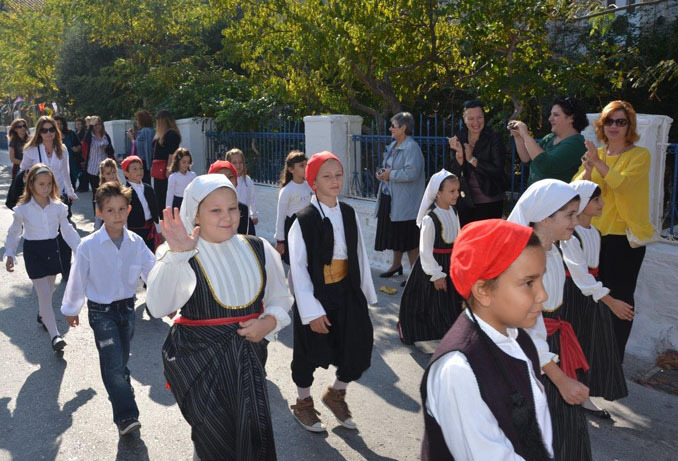 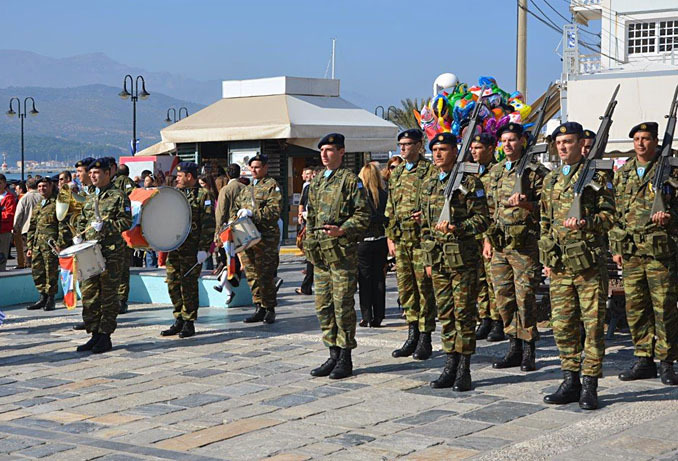 The pictures are from the celebration in Kokkari and Samos Town.